Convenient storage space at your fingertips. 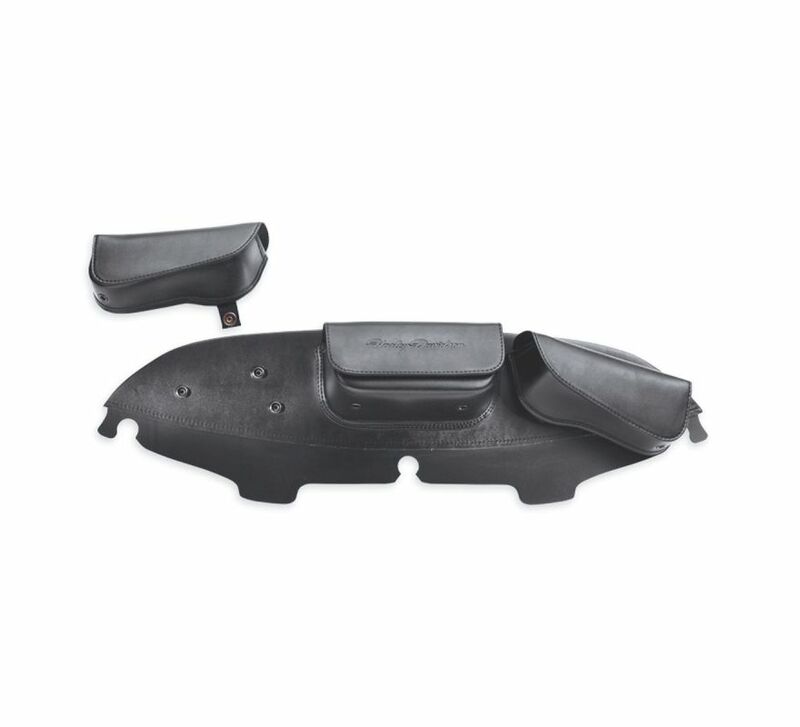 Designed to complement H-D® wind deflectors and windshields, this fairing pouch is ideal for storing cell phones, sunglasses and other small items. 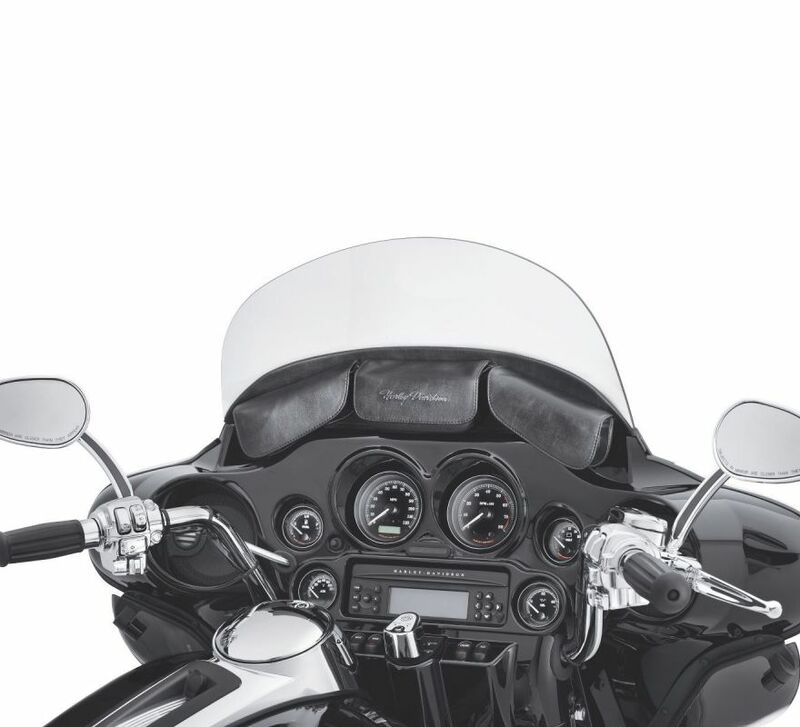 Fits '96-'13 Electra Glide®, Street Glide®, and Trike models. Not for use with Fairing Dash Pads. Models equipped with Illuminated Windshield Molding P/N 57335-08 requires separate purchase of Screws P/N 4456 (qty 3), Bar & Shield Windshield Molding P/N 59133-99 requires separate purchase of Screws P/N 94386-92T (qty 3), Chrome Windshield Molding P/N 59213-96 requires separate purchase of Screws P/N 94397-91T (qty 3).